Information buried beneath the surface of the Internet—the so-called deep or invisible Web—increasingly plays a role in defining your online reputation. A growing number of companies scrape these lower levels of the Internet to find vast amounts of detailed, personal information on just about everyone, then publish it in ways that makes it easier to find. Who uses their services? Hiring managers and admissions officers are two of the most frequent customers. So are identity thieves, online stalkers, and anyone with a financial interest in finding detailed information about you, such as your insurance company. In fact, most Deep Web services that find personal information are designed for businesses. They offer premium content at a price, or complex application programming interfaces (APIs) that allow a company’s IT department to extract the needed information. BrightPlanet is a leading vendor in this area. 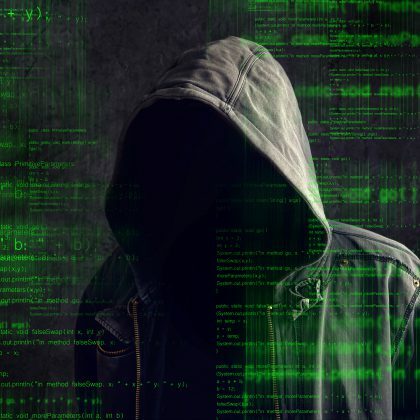 So what can you do about your Deep Web presence? The first step is to find what’s out there and see if any of it could be causing unnecessary damage. This article will describe how to do that. The Deep Web refers to the non-indexable content on the Internet, largely stored in publically available databases. According to most estimates, the deep Web is approximately 500 times larger than the “surface” Web that we see through a Google search. The Deep Web contains detailed information on specific topics, but this information is harder to access because it’s not laid out on Web pages. In order to access information stored in the deep Web, a user must ask a database a very specific question, and s/he must know what kinds of questions the database will accept. For example, there might be a Deep Web database that stores vehicle registration information, accessible by a Web portal and API. Anybody could visit the database and make a query, but you’d need to know the exact format it requires. It would then spit out some information on vehicle registrations, which you could use for any purpose. Most Deep Web scouring companies don’t do this manually, however. Instead, they use the database’s API to make automatic requests for large quantities of information. For example, they might take the entire Wisconsin phone book and request vehicle registration information for every name and address combination listed. This is where the power—and danger—of the Deep Web becomes apparent. An individual search here and there might be perfectly legitimate and useful for the public interest. But when companies use a dragnet approach to build complex profiles on everyone, the potentials for abuse grow. Searching the Deep Web requires a certain amount of tech savvy, especially at the large, dragnet scale. However, that doesn’t mean the information isn’t accessible to the average person. There are a number of ways you can peer into your Deep Web profile in a more intuitive fashion. Complete Planet searches dozens of predetermined categories. InfoMine specializes in science, humanities, government and arts topics. The WWW Virtual Library is geared toward academic resources. Start with those services or similar search tools for your domain, if applicable. If a speciality search doesn’t turn up anything on you, the next step is to use a people-search service. This won’t let you directly search the Deep Web, but it will let you see the kinds of information that data scrapers find about you there. Some of the most prominent of these are Spokeo and Intelius, and Pipl. You can see a basic profile about yourself on most people-search sites for free. These sites can give you a clear idea of what your online reputation looks like on the Deep Web. Note, however, that ReputationDefender does not endorse any people-search services and in fact actively works to prevent them from publishing our clients’ information. People-search sites can be useful to help you uncover your Deep Web presence, but we recommend that you then remove your information from as many of these sites as possible. Here is some free information on how to remove your data from many popular people-search sites. Should I use TOR to browse the Deep Web? No, not unless you are sure that you know what you’re doing. If you look for information about the Deep Web, many sources will recommend that you install the TOR browser, a specialized piece of software designed for private, Deep Web sites. 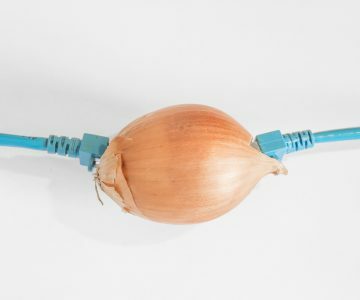 TOR stands for “The Onion Router,” and it’s a system for anonymous online browsing. We do not recommend that most people use TOR. While TOR has many legitimate uses, because of its design, TOR-specific Deep Web sites are also a magnet for cybercrime. Only advanced computer users should attempt to visit TOR websites, and even then, they need to take special precautions to avoid being hacked or compromised. Can you stumble upon these sites by accident? Not really. Most TOR websites end with the extension .onion and are only accessible through the TOR browser. Therefore, if you don’t install that browser, you don’t have to worry about accidentally visiting a malicious Deep Web site. What should I do if I find troubling information? Personally identifiable information – If information about you or your family is appearing in people-search sites, your best best is to opt-out. Follow the instructions in the link above, or check out our privacy protection services for an automated solution. Public records – If the information shows up in government public records, your options are somewhat different. Check out our article on handling public records. 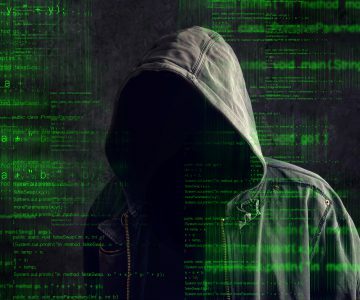 Website links – Through Deep Web searches, you may come across normal surface websites that you didn’t know existed and that publish information about you that you don’t want shared. For these types of sites, your best bet is usually an online reputation management campaign. Take a look at our guide to reputation management for more information on first steps. Embarrassing photos or media – For these types of results, there are steps you can take to have the materials either deleted or obscured. See our article on embarrassing photos for more details.